The company doesn’t elaborate on that, but presumably a one-screen device is one where only a single display is used, but it can be folded into two different sizes, while a two-screen device would use two distinct displays. As far as Android optimization goes, the company is focused on what it calls ‘screen continuity’, which means for example that you could start watching a video on a phone-sized screen, then unfold the display to a tablet size and keep watching the video seamlessly. It’s unclear how big a job this will be or exactly when a folding-friendly version of Android will arrive, but according to Pocket Lint, Dave Burke, VP of engineering on Android, said at the Android Developer Summit that Google is “enhancing Android to take advantage of this new form factor with as little work as necessary". As well as optimizing the experience for the end user, Google additionally plans to make changes that will help developers take full advantage of these new form factors. We should start seeing the fruits of this labor before too long, as Google also used its blog post to confirm not only that Samsung will be launching the foldable phone it recently previewed sometime next year, but that several Android manufacturers are working on foldable devices. 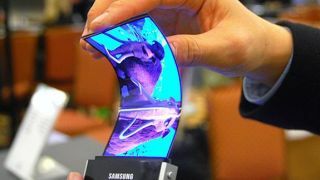 So folding screens could be the next big thing in mobile.